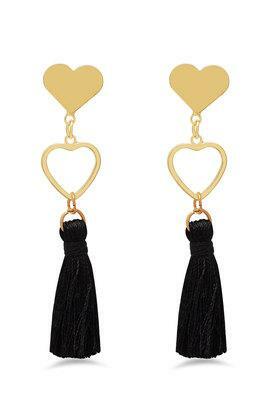 Personalise your accessory collection by adding this attractive pair of earrings from the house Ayesha. Rich in design, this piece of jewellery comes with a nice finish. It flaunts a gold plated base colour that gives it a charming look. Add a dash of elegance with this pair of earrings. Team it up with your traditional wear for the ultimate look.